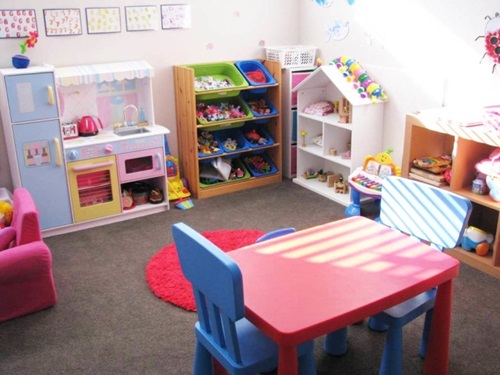 Having more than a child means that you will find their toys everywhere and that they will play in almost every room in the house. 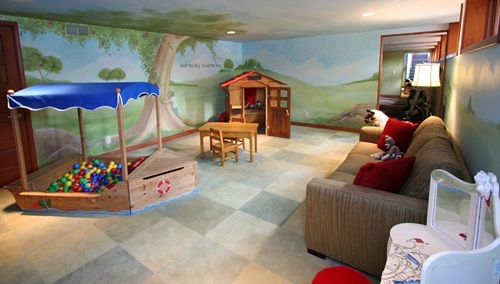 If you have such a problem, you will find the ultimate solution in the playroom. 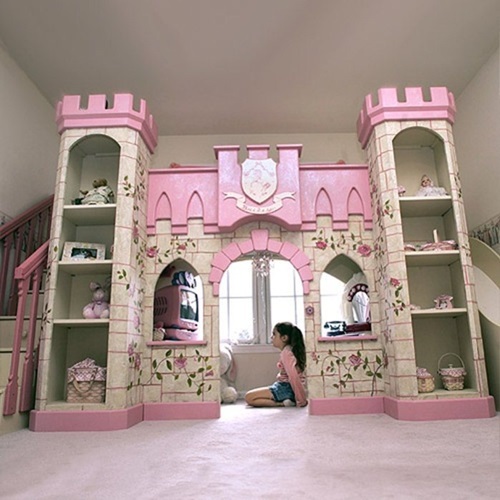 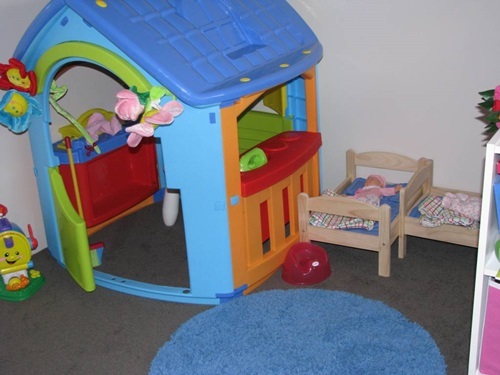 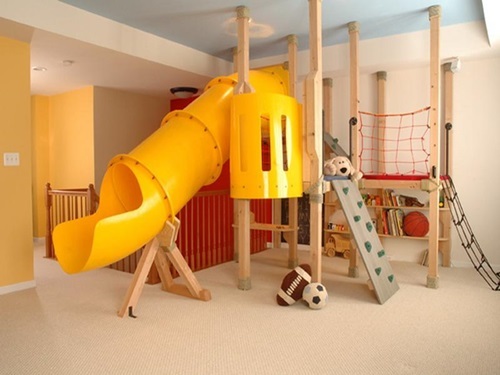 You can design a complete playroom or allocate a space at any room for this purpose. 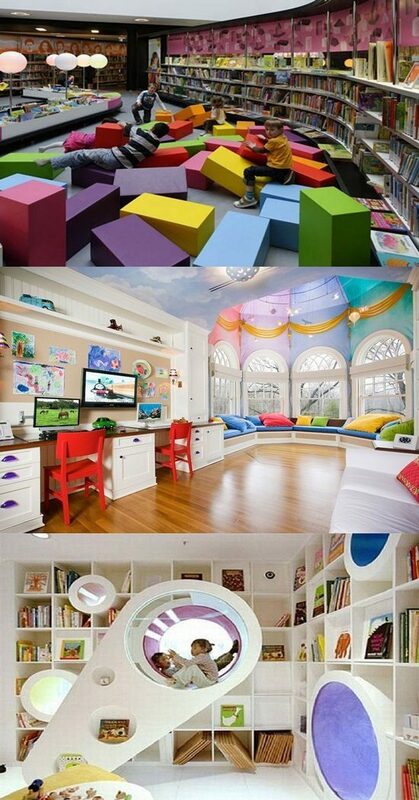 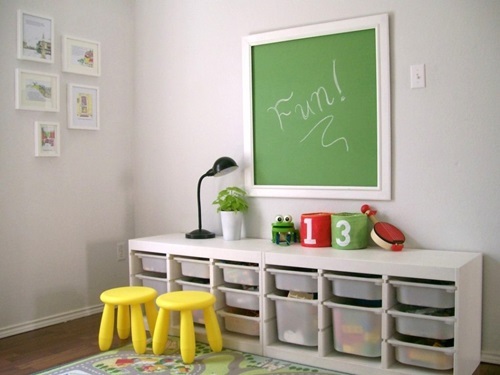 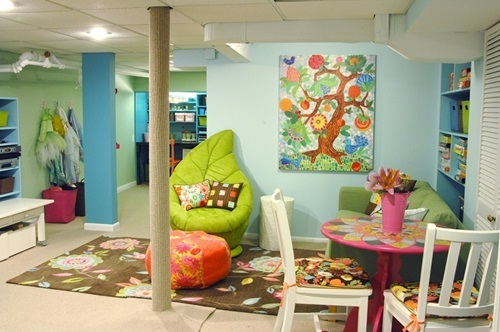 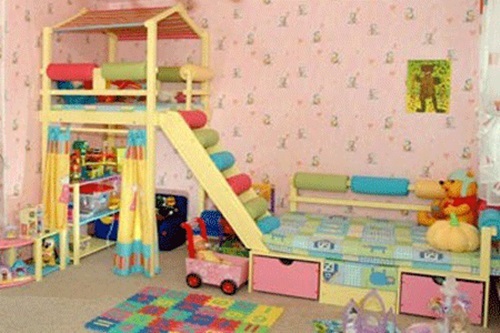 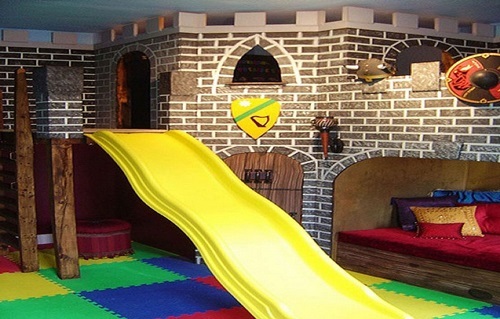 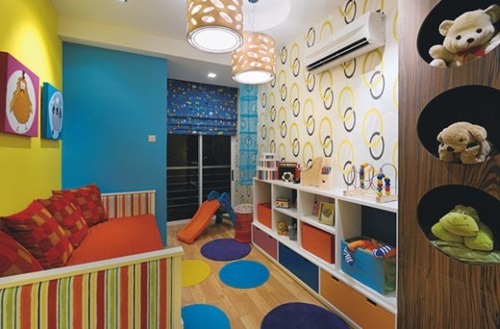 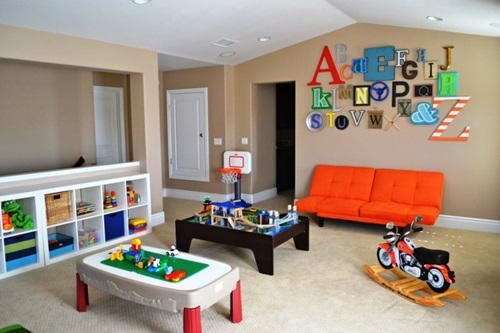 Here are interesting ideas to design a partial or full playroom to amuse your children. 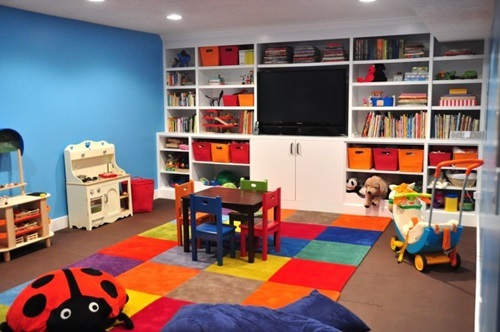 To design a playroom for your children you should take into consideration thatthe room should be empty as much as you can to let your children play freely and joyfully. 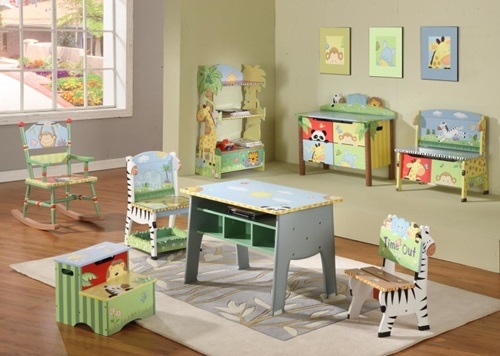 The essential furniture items such as the puzzle desk and the bean bag chair to let them take a rest when they are tired. 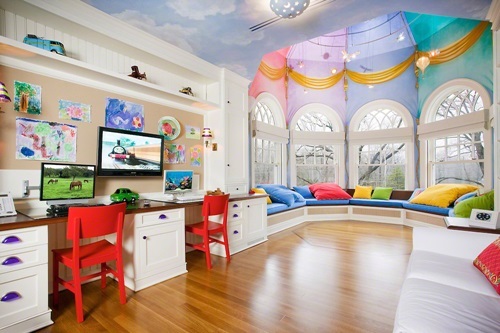 You should give your kids’ playroom a joyful look painting the walls and ceiling interesting drawings to attract your children’s attention. 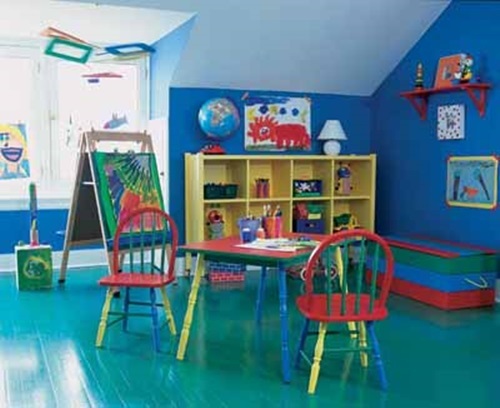 For example, you can paint the ceiling light or dark blue colors just like the sky in the day or night. 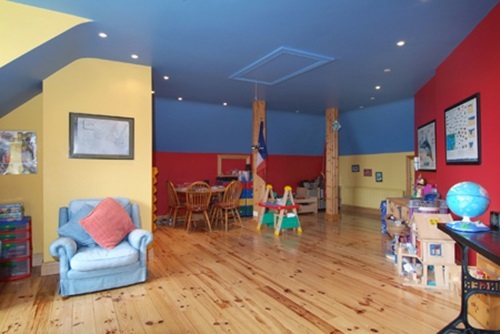 To give the playroom’s ceiling a real feeling of the sky, you can paint it white and small stars with lights that give the place different moodsaccording to the occasions in your children’s life. The decals on the wall can set the theme of the playroom according to your children’s interests. 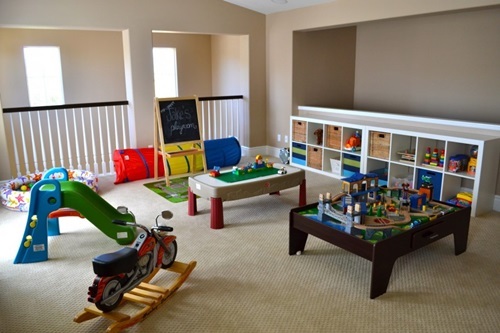 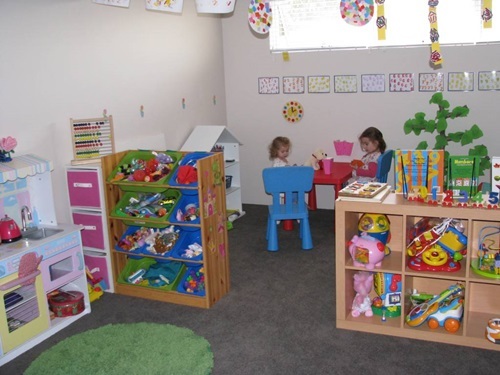 If you have a large playroom, you can divide it to different areas such asa housekeeping area, puzzles area, and free area. 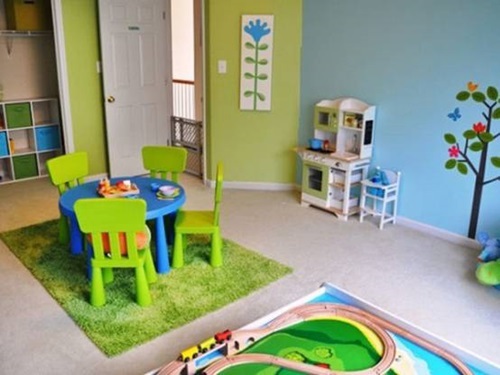 Every area can be painted with matching color to let your children renew their energy when they move from a section to the other. 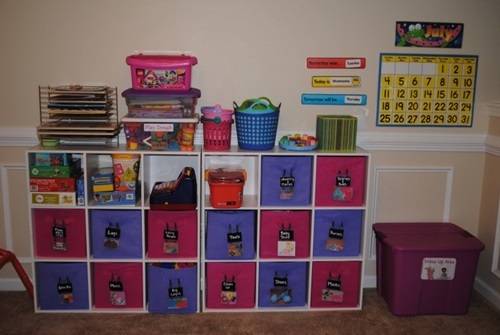 Try to net up large and wide shelves to let your children organize their toys, but try to make them sturdy becausethey may need to play on them.